The last thing you want is a tire blowout the morning of your first triathlon! There are times when people use bike tires that are not very well maintained. The tire may have dry or weak spots. Mechanics/helpers/friends helping others get ready in transition during bike check-in will normally pump tires up to the maximum tire pressure. This exposes already weak, drily rotted, or damaged areas of the tire. This is the main culprit of tires blowing out. A severe temperature change the night before will only cause a very slight change in tire pressure overnight. A swing of 50 degrees will be a shift of fewer than 10 lbs. of air pressure in your tire. Most wheel manufacturers’ rims can withstand more than twice the recommended tire pressure before the tire would pop off of the rim. So if your tire is supposed to be aired up to 120 lbs., chances are your rim can hold twice that amount of force or more. Begin the bike portion of your triathlon knowing your tires are completely aired up. Too little pressure will slow your ride down and make you work harder than necessary. Rubber is a porous material. Tubes and tires will lose pressure over a short amount of time. Some tires will lose as much as 25 to 40 percent of their air in a week. If you air your tires up the day before you will probably have a little less air in your tires by race start. This would be a reason why you should air them up race day. You can learn more about proper air pressure from this Jack’s Generic Triathlon blog post. Want to learn more about flat tire prevention? Follow the advice in an earlier blog of ours. You’ve debated registering for Jack’s Generic Triathlon for some time now. Friends are racing. Your triathlon club will be there. You plan to register, just haven’t pulled the trigger yet. Why? Perhaps you forgot, maybe it slipped your mind. Every time you think about registering for JGT you’re not near a computer. When you’re near a computer, you forget. It happens. Well, you’re on the computer now. Read the 4 reasons to register for JGT, on August 26th, below and make it happen. JGT will take place at Walter E. Long Metropolitan Park (aka Decker Lake) on Sunday, August 26th. Previously, the event has taken place at Texas Ski Ranch and Lake Pflugerville. JGT now features the sprint distance only. Aquabike and Relay options are available. The sprint distance will consist of a 600m swim, 11.2-mile bike, and 5K run. Here’s to slightly cooler temperatures at the end of August *quickly knocks on wood*. That’s right, JGT is in its 16th year. There’s a reason people return year after year: they’re more than a number, they’re a barcode. From Day One, JGT has focused on the participant. Sure there have been elites and awesome swag, but the focus consistently remains on you: the athlete. Plus it is fun and clever. If you’re taking on the Texas Tri Series then you need to register and complete Jack’s Generic Triathlon. That goes for volunteers too! JGT is the third event in the much-loved series. Triathletes are challenged to participate in or volunteer for four Central Texas triathlons throughout the summer. Many use it as a means to stay active over the summer. Some use it to advance in distance. There are folks out there who just want to challenge themselves. Regardless of why clubs and groups travel from all over to cheer on their athletes as they take on the Texas Tri Series. You can expect a supportive and energetic atmosphere on August 26th. Now that you have this year’s Rookie swag, this combo is perfect for your growing collection. I mean, can you find a better looking shirt/medal duo? We’ll wait… This year’s shirt is perfect for wearing around town or during your post-JGT workouts. And the design is sure to catch everyone’s attention. The shirt is super-soft and one you’ll gladly add to your collection. The medal matches the shirt and commemorates the accomplishment of crossing the JGT finish line. Make your triathlete friends who don’t race JGT jealous. Or challenge them to join you so they can join in on the fun! The Texas Tri Series consists of four triathlons (first of which was Rookie Tri) that take place in and around the Austin area. You can participate in the Texas Tri Series (for free!) as an athlete or a volunteer. If you completed Rookie Tri on Sunday, May 6th, and want to register for the series there’s still time! The events range from sprint to half distances. There are many volunteer roles and ways to participate. This is a great event to complete with family, friends, and even your kids. 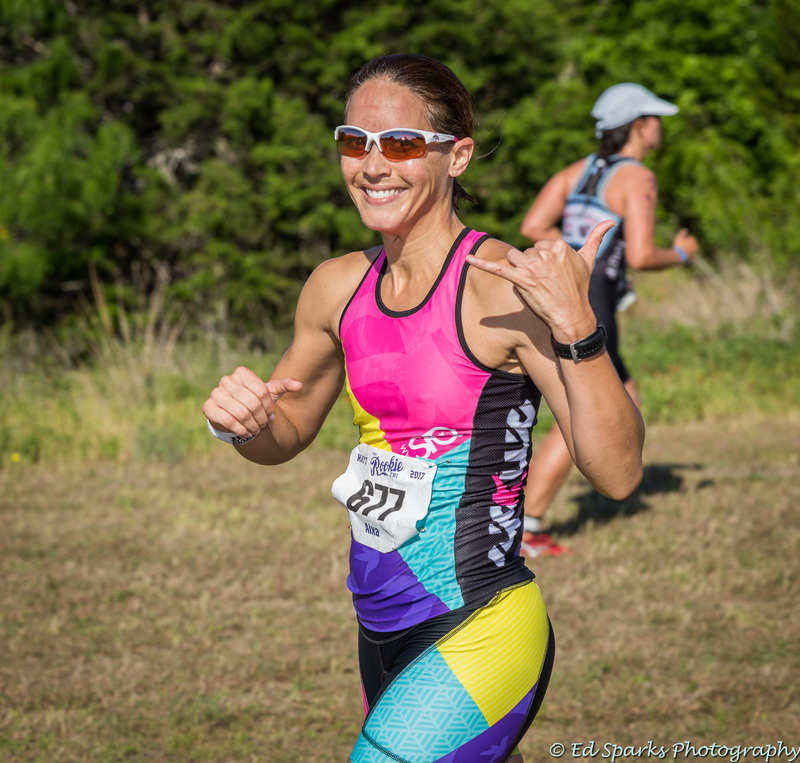 To participate, you must register for the Texas Tri Series (remember, it’s free!) and participate or volunteer at all four events. In addition to all the awesome goodies you get at each event in the series, you will get some awesome rewards for completing the series. Each series finisher will receive a 2018 Texas Tri Series finisher medal and a finisher item. Timing is not being tracked for the 2018 Texas Tri Series. Jack’s Generic Tri is the third Texas Tri Series event. Kerrville Triathlon Festival is the final Texas Tri Series event.